Use our resources to help you in coaching matters. Coaching Derbyshire aims to support coaches in any way we can. We hope these pages will provide you with lots of useful information, links and resources to help ensure coaches have the right skills and training to deliver high quality activity. Also included is information around employing/using coaches and what minimum standards Sport Coach UK recommend you ask for. Sports Coach UK aim to ensure 'Excellent Coaching Every Time for Everyone' in order to do this some minimum standards have been drawn up, with partners, which coaches and organisations are recommended to follow. Minimum Standards for Active Coaches - Core Guidance for Coaches. Minimum Standards for Active Coaches – Core Guidance for Organisations. Interactive tool to identify the minimum qualification required (as stated by the relevant governing body of sport) for a lead coach coaching children and young people in the following environments: Primary School, Secondary School, Club and Community/local authority. As an active coach, it is important for you to meet the core standards. to improve the coaching opportunities you can access. Club Matters is a one-stop-shop for sports clubs and groups. It offers free, simple support to all clubs and groups including several interactive tools to help you understand where your club or group could improve. To access the full resources as well as the mentoring scheme and workshops, register today. Derbyshire Sport provides an overview of what Club Matters has to offer along with more specific support to Derbyshire-based clubs and groups in the areas of finances, management, people, marketing and mentoring and workshops. You can find out more by viewing the Club Matters section of the website. Effective use of resources is important in coaching. Here are some links to external sites which may be useful. Please click on the link to access further information. BBC Sport Academy is an online resource with information and videos on various sports including input from top athletes. Brian Mac Sports Coach provides information on the many topics related to developing physical and mental condition. 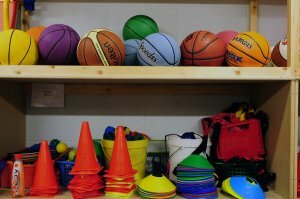 TeachPE is a free online resource for sports coaching and physical education. Includes sections on A-level and GCSE syllabuses as well as sport specific coaching, strength training, and more. Special Olympics Coaching Guides provides free coaching guides, rules, quick start guides and more for the 30+ sports that are in the Special Olympics. Includes an overview and information about training specifically focused on people with intellectual disabilities. Coaching Children Videos - sports coach UK has produced a series of videos about Coaching Children that are available on their YouTube channel sports coach UK TV. These clips look at the craft of coaching from a children's coach perspective and are designed with coaches, parents, clubs, governing body staff, and sport development professionals in mind. Using tools such as video can help you improve your performance as a coach. LongoMatch - for analysis match performances. Learning Style Questionnaires - most coaches will be familiar with different learning styles (visual, auditory, kinesthetic) but how do we find out which style we or our performers are? For simple guide and questionnaire to assess learning styles click here. Peak Performance is one of the world's premier sources of practical, performance-boosting tips and new advances for athletes and sports people. Register for a free newsletter and access to articles, or subscribe for more detailed information. Coaching Female Participants - following research with women about there experiences of coaching, Women's Sport and Fitness Foundation (WSFF) have produced a series of five factsheets have been produced aimed coaches who coach women or who are interested in coaching them in the future. Trinity Performance - (Leeds Trinity University) has a clear aim to enhance sport and exercise performance. Whether you are an athlete or a coach and regardless of your level of competition, they offer support to develop performance in sport and exercise including coach education, Performance consultancy services, and fitness assessment. Coaching with Balls is a NGB endorsed online learning for coaches providing what to coach as well as the how to Coach. CoachAnyWay - loads of coaching videos available free to coaches. The website is free to use and visitors can view hundreds of videos of coaching tips, drills and ideas. Nutritional advice for Sport - The purpose of the site is ultimately to provide a huge nutrition support network, enabling those in need to find a nutritionist close to them and appropriate for their needs. Coaching Kids 4 Self Belief - online child-centred Coaching Course for all sports coaches. The course has been designed to help coaches further their skill level for performer/child-centred coaching with particular emphasis on helping coaches to practice the skills of attentive and empathic listening and effective questioning. Sportplan - A large number of free tools and resources to help coaches with planning their training and finding new ideas. Tools include online lesson planner, drawing tool and large library of drills and lesson plans. Make the most of the information available. 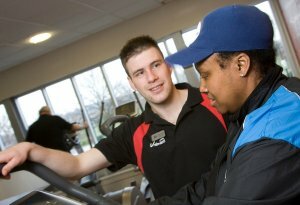 Sports Coach UK offer lots of support and guidance for coaches and those thinking of getting into coaching. They also have a course search tool, this list only ScUK courses, but is particularly useful if you need find a course that may be further afield than Derbyshire. There are also articles and blog posts about coaching. You may want to check your sport's National Governing Body (NGB) website too, as they often have resources and information on courses. You can find a list of NGB contacts on our website which may also be useful.